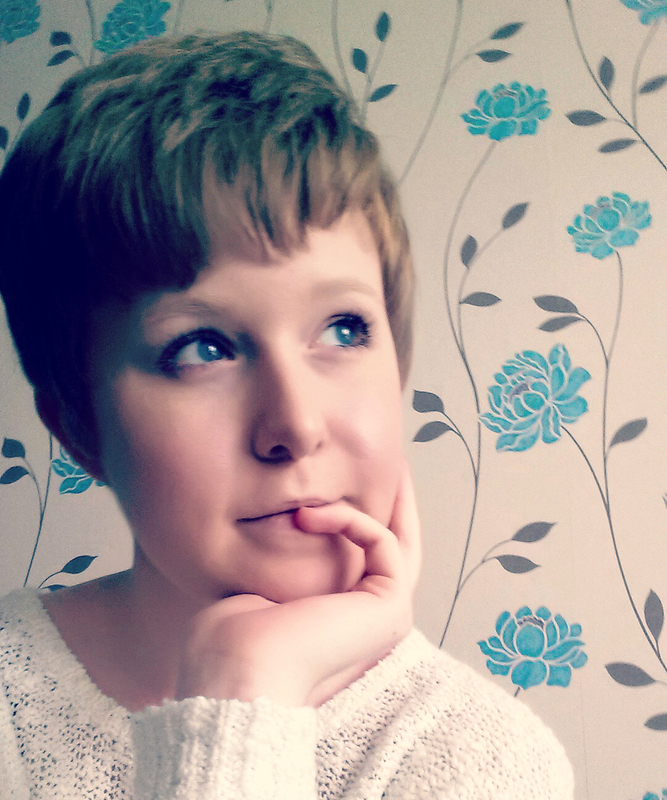 Guest post contributed by Faye Kirwin of Writerology. Words mean everything to a writer. They’re the tools of our trade and should be placed with purpose and care for maximum effect. Nowhere is this more apparent (and necessary) than in flash fiction. This is particularly true when creating those all-important first and last sentences. There isn’t a lot of room in microfiction to hook readers, establish an emotional connection and leave them with a lasting impression—typically less than 1000 words—but having killer first and last lines can go a long way towards doing just that. But how can you create those powerful openings and closings? Here are my top tips for starting and finishing your microfiction strong, illustrated by some of my own 140-character examples. 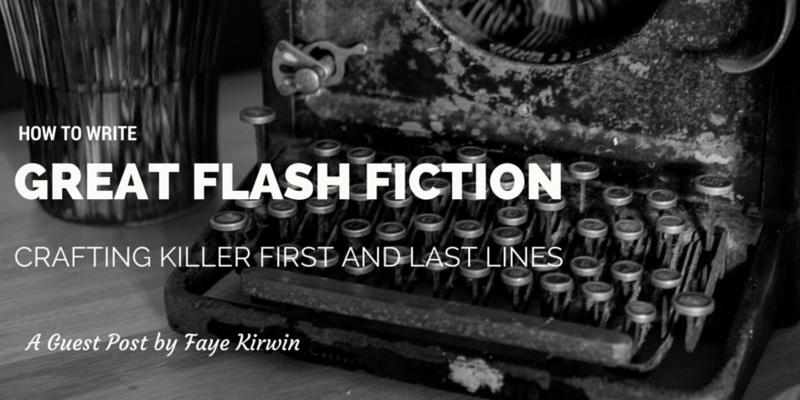 The opening line of any story needs to hook the reader, but especially so in flash fiction. With such a limited space to tell the story, every word must work together to create impact. Here are three ways you can power up your first lines and give them an extra helping of ‘oomph’. No time for introductions or set-up—jump right into the middle of the story with that opening sentence. Whether you begin with action or dialogue or something else, sweep your reader into the fast-flowing current of the story and don’t let them come up for air. 2. Start at the end. Moving even further ahead, you could have your first line take place near the end of the story. For example, your character might reflect on the events of the climax or focus on the aftermath, leaving your reader with a thought-provoking, humorous or ominous message. By hinting at what went before, you can also prompt your reader’s imagination to fill in the blanks for you. Erasing that memory was the wrong decision—no, the worst decision I could have made. I just wish I could remember why. 3. Start with the unexpected. Take the familiar and turn it on its head. Have something ordinary, commonplace or unassuming appear in an unexpected or shocking way to upend your reader’s expectations and grab their attention. The snake within the mantelpiece flicked a stone tongue at Merethe. Living masonry, Uncle called it. What… interesting taste in decor. In short, grab the reader’s emotions with that opening line and throw them headfirst into the story in an unexpected way. If anything, the final sentence can have even more power than the first. It can leave your reader reeling, asking questions, hungering for more—and it’s this emotional investment that leaves an impression long after they’ve finished the story. 1. End with a twist. Throw your reader off balance with something they weren’t expecting. Done right, it can set them reeling and force them to reinterpret the whole piece—or their own preconceptions. 2. End with a shock. There’s no better way to knock your reader for six than with a shocking ending. Similar to ‘end with a twist’, this throws them off balance and can involve something unexpected, but it has far more emphasis on the emotional impact. The name chiselled into the tombstone was weathered, spotted by age, but it was definitely mine. It said that I died today. Not all final sentences have to be dark or shocking to leave a mark on your reader’s memory. A joke or light-hearted remark can prompt a smile or laughter and steal their hearts. The dragon dancers in her family looked at her with disapproval whenever she sneezed. She couldn’t help being allergic. Remember: good flash fiction makes the reader ask questions. It captures their attention and sparks their imagination, so craft a last line that leaves your reader thinking about the story long after they’ve finished reading it. Flash fiction is meant to entertain—and that includes you. If you don’t enjoy writing it, how can you expect your readers to enjoy reading it? Have fun with your microfiction and take advantage of its short nature to experiment and be creative. Explore new story ideas, new genres, new styles—whatever takes your fancy and pushes you and your writing skills. Give flash fiction a try today. Use the three ways to start and end a story as prompts and let us know how you do in the comments below! And don’t forget: be different, be daring, and have fun. Is it Too Late to Start a Writing Career? This was very enlightening. I am passionate about this form and love reading it. Thank you!